"Life Journeys": Conversations With High Achieving Women In Kenya, Week 7 - Kenya's Women of the Week. Conversations With High Achieving Women In Kenya, Week 7 - Kenya's Women of the Week. This is an exciting week for us. It is the denouement of journey that has taken more than two years, with the help of over 150 people, to compile. 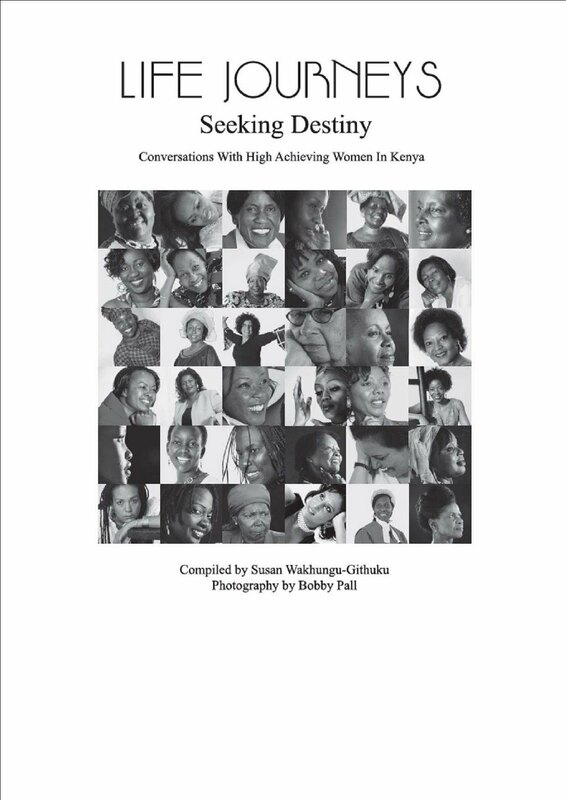 "Life Journeys: Scaling Heights," conversations with high achieving men of Kenya, is set to be launched on Sept. 3rd. This 402 page coffee table book profiles 85 men of substance. Brace yourselves for another dose of inspiration. Our "Women of the Week" are: Media Personality, Julie Gichuru; Scientist, Sports Woman, and Educationist, Dr. Elizabeth Odera; and Writer, Publisher, Teacher, and Activist, Asenath Odaga. Julie Gichuru is an inextinguishable flame; growing greater by the day. She was recently named one of Africa's most powerful women by Forbes. In addition, this young lady was declared Young Global Leader by the World Economic Forum, and was also awarded the Martin Luther King Salute to Greatness Award for Advocacy of Active Non-violence and Peace during the post-election violence in Kenya in 2008. I was a bookworm at school. I was also enthusiastic and active, taking part in almost every activity. I was strong in the arts and loved to write poetry. I took part in drama, wrote plays and even won awards for verse speaking. I got on well with my teachers and remain in touch with schoolmates from every school, including nursery. Boarding school was an incredible experience that helped build my independence and studying abroad was a vital component in helping me appreciate diversity. The wise counsel I receive from my parents and grandparents, husband, in-laws and friends drives my success. I never forget that God loves me. His plans may not be our plans, but "we know that all things work together for good to them that love God, to them who are called according to His purpose" (Romans 8:28). I would like to tell young people that they can achieve anything they put their minds to. They should think carefully about what they want because they may just get it! Dr. Elizabeth Odera holds a PhD in Immunology from the University of Copenhagen. This stunning all-round lady - Scientist, Sports Woman, and Educationist - is the Founder/Director and Head Professional of Sadili Oval Sports Academy. In 2008, she was Knighted with the Bronze Medal of Honor, by the Government of France, and in '04 she was awarded the PTR Humanitarian of the Year Award. Watching my mother struggle made me realise that, as a woman, if you are not independent, you will sink. Due to the number of children she had, my mother had to stop working to look after us. She started a business, but it never really progressed because my father was always in and out of it. I pursued science because it came easily to me. During my first Science Fair, my Chemistry project was literally a magic show, colours changing, things that blew up and other effects. I received the second prize at the Fair, which was quite a surprise as I had almost given up on my project until Professor Norah Olembo encouraged me. Having role models is critical. Professor Olembo moved in and our of my life a few times, without realising that she was making an impact on me. I wish I could see willingness in our local leadership to listen and mentor young people. One day, I hope to be remembered for helping make a positive difference in the life of every young person that I met." This Writer, Publisher, Teacher, and Activist has over fifty books to her credit. Asenath Odaga is the Founder of Lake Publishers. 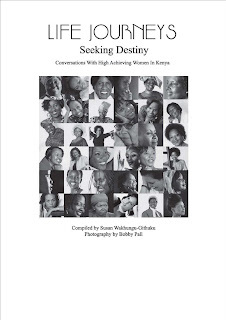 She is also the Founder Member of Kenya Literature Women's Group, renamed, Gender and Development Centre (GADECE), and also Founder Member of the Writers Association of Kenya.
" My mother's people were chiefs in the area of the Nyabondo Plateau in Nyanza Province. My father, Blastus Akumu Aum, was from Nyakach Clan. They migrated from Southern Sudan to Kenya and were the last Luo clan to find settlement on the plateau where they still live. As women, we must realise we have a big roe to play in our familes and society. We should discard cultural practices that demean us and foster cooperation amongst ourselves so that women may be empowered. I am proud to be an African woman: my culture has mad me what I am. I am also proud to be a Kenyan, although it disappoints em to see some of the things we do. My inspiration comes from various sources and everyday life. Sometimes I craft tales from my imagination, remembering stories my mother and grandmother used to tell me. I was influenced greatly by my university lecturers, such as Okot P. Bitek and Ngugi wa Thiong'o, a renowned poet and writer respectively. They were the first to introduce oral literature at the local university. My writing is also influenced by the world around me, the desire to eradicate poverty and my sense of justice, stemming from my Christian faith and my Luo culture.